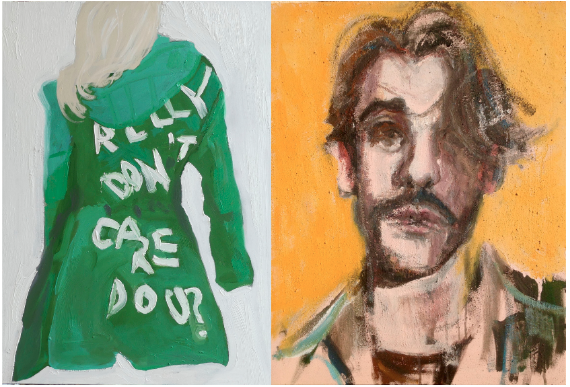 The exhibition of new work by Claudia Doring Baez and Robert James Anderson at Scope NY 2019 during Armory Week. The Epichorus performs Indo-Arabic roots music - contemporary music inspired by the old sounds. They are lineage holders in classical traditions from India to Egypt and Greece, alongside Jazz and fusion aficionados. Come ready to be transported by ethereal music reminiscent of a loftier home. Space is limited, email Naum@emptycirclespace.com to reserve! The Empty Circle is pleased to present a curated booth of paintings by the late artist Ingo Swann. An acclaimed psi-researcher and author, Swann participated in over a hundred academic and government-backed research studies, which investigated human psychic powers as a reality – one that modern science systematically trivialized as unfounded or abnormal. Swann pioneered the skill of “remote viewing,” a psychic ability that allowed one to see physically distant locations, such as the surface of planets. When the CIA discovered the existence of Soviet psi-spies at the height of the Cold War, they turned to Swann and the Stanford Research Institute (SRI) to train a group of military personnel in remote viewing, with the goal of creating their own psychic spies. This project, code named Stargate, ran from 1978 to 1995. During this period, Swann was told that his findings would never be shared with the public, out of the fear that civilians might begin to harness their psychic abilities to dismantle the status-quo. Swann's sense of repression was further compounded by the fact that he was a gay man living within a homophobic culture. Art, however, allowed Swann to freely express both his psychic inclinations and his sexual desires. The paintings included in the booth – spanning the early 1960s to the 1980s – illustrate the unique way that Swann viewed the world. After abandoning his dream of commercial success in the late 1950s, Swann continued to paint only what gave him joy: primarily, the energy that he saw radiating from the people around him. Swann saw this energy- chi, aura, force - as uniting all living things to one another. He believed that if people were to harness their extra-sensory perceptions, to see these forces as he could, the world would change for the better. For this reason, this booth includes works from throughout his life that depict energy radiating from figures in rays, flames, mandalas, and halos. His subjects range from the mythological and ancient to hippies and hustlers. The latter of which, he may have seen outside of his home and studio on the Bowery in Manhattan. Also included are cosmic and metropolitan landscapes - the synthesis of Ingo’s fantastical vision and experience of the streets around him and the stars above. This booth is a rare opportunity to see Swann's artworks, many of which have never been exhibited. When compelled by society to repress his power and desires, Swann refused, choosing instead to use his art as a way to freely express himself, and in so doing, to compel others to find their authentic selves by reconnecting with the energy that courses through us all. Swann was born in Telluride, Colorado in 1933. Since 1970, Swann has been interviewed or profiled in dozens of magazines, including Time, Reader's Digest, Smithsonian and Newsweek. He has published more than ten books on various psychic subjects such as remote viewing aliens on the Moon and Earth, how individuals can develop their future-seeing abilities, and the intersection of sexuality and psychic energies. His artwork is in the collections of The National Air and Space Museum, Edgar Cayce’s Association for Research and Enlightenment (A.R.E. ), The American Visionary Art Museum and the Leslie Lohman Museum of Gay and Lesbian Art. His works have been included in “CLEAR," an exhibition at Gagosian, Los Angeles in 2014, "The Rainbow Serpent" at Gagosian, Athens in 2015 and “Ingo Swann: A Remote View” at La Mama Galleria, New York in the summer of 2016. Swann passed away in New York City in 2013. He is survived by his sister and several nieces, nephews and grand nieces and nephews. Internationally acclaimed performance artist Roi Vaara makes rare New York City appearance. The evening begins with a carefully curated selection of videos and performance documentation that surveys Vaara's 500+ performances in over 50 countries. Following this will be a live performance by Roi Vaara. Join us Saturday NOVEMBER 17th at 8:00pm for an evening OF GREEK MUSIC! Free, fabulous red wine included with admission! by Niko Paterakis. Niko’s latest work features acoustic songs with a traditional soul BUT a modern edge, focused on and inspired by Dionysian influences and themes in Greek traditional music. The music seeks to bring out a direct and unbreakable connection between an evocative ancient past and a contemporary soundscape of meditation, ecstasy and zest. Kíklos is an organization devoted to rekindling, rebranding and spreading Greek traditional culture, both in its capacity to preserve, but more importantly, in its capacity to innovate as a collection of living art forms. Kíklos aims to support the evolution of traditional culture by providing a sustainable platform for emerging artists who draw inspiration from traditional idioms to create new, contemporary works of art. We feel the necessity to adopt a more cosmopolitan approach in highlighting an underrepresented part of our culture to broaden this endeavor to new potential audiences. Niko Paterakis is a Greek composer and singer based in NYC. As a multi-instrumentalist, he began composing music for performing arts while living and studying in the UK in the late 2000s. During this time, he performed original material in the world-renowned SWSX (Austin, Texas) and premiered his first musical theater production, Ano Throsko: Musical for the 21st Century (sponsored by Arts Council England). 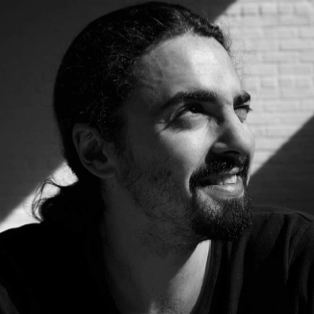 A few years later, he was admitted to Berklee Valencia (Berklee College of Music – Valencia, ES) to study for a Master’s degree in film scoring.Since moving to New York, Niko has been composing for libraries and other projects, as well as researching Greek traditional music, which led him to found and manage Kíklos Festival. Demetris Hantzis is a singer from Trikala, Greece, serving an impressive range of traditional music from all over Greece for more than 12 years. In the early 2000s, he graduated from the acclaimed Department of Folk and Traditional Music (Arta, Greece) and has since participated in numerous concerts with traditional dance and music ensembles all over Greece and abroad, including the emerging ensemble Provadouroi. 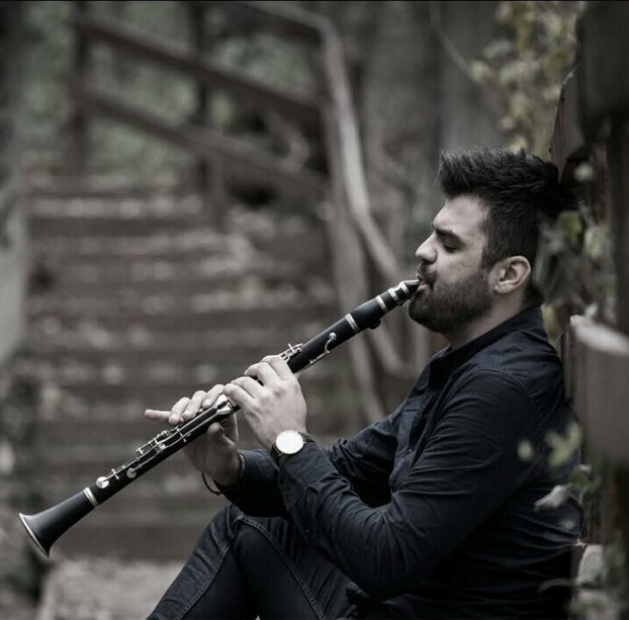 Nektarios Papageorgiou is a clarino player, composer and instructor from Trikala, Greece with a rich background in Byzantine and traditional Greek music. While studying clarino at the prestigious University of Macedonia (Salonica, Greece) with famed performer and instructor Manos Ahalinotopoulos, Nektarios has taught, performed and recorded in Greece and abroad for over a decade. He has collaborated with many distinguished Greek artists, including Petroloukas Halkias, Areti Ketime, Glykeria and others and is one of the core members of the rising groupProvadouroi. Giorgos Retos is a multi-instrumentalist with nearly 15 years of performance experience with a variety of Greek traditional and folk ensembles. Also a core member of the band Provadouroi, he has performed as a guitarist, bouzouki and laouto player in concert across Spain, France, Germany, Italy, Romania, Serbia and Nigeria. Ilias Papantoniou is an accomplished and versatile percussionist from Larissa, Greece. A classical percussion and traditional dance student since childhood, his early studies in traditional Greek percussion led him to Istanbul, Turkey, where he studied darbouka with the internationally acclaimed master, Misirli Ahmet. He later travelled to Spain, where he was accepted to study for a Master’s degree at Berklee Valencia (Berklee College of Music – Valencia, ES) and devoted himself to Latin percussion under the tutelage of the great performers Victor Mendoza and Yoel Paez. Since then, he’s been traveling, teaching and performing as a member of the Percuaction Global Percussion Network around Europe and South America. The Empty Circle Music Series will present music across a wide spectrum of genres and styles, bringing together people from a multitude of cultures, inspiring a break from the mundane, a place to dance, drink, mingle with the local community, and lose yourself. Interested in performing as part of The Empty Circle Music Series?